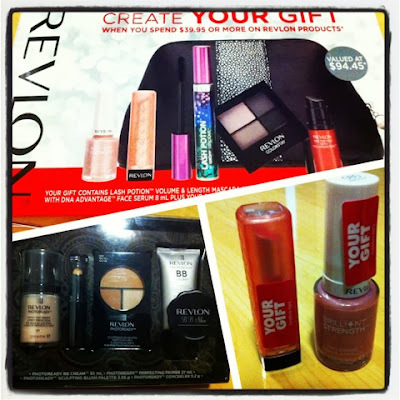 So recently I decided to stock up on my makeup haul after being stranded here in Sydney..
Myers was having a Revlon promotion, which I believe is in lieu of Christmas coming. This is the GWP from Revlon consisting of six piece items with purchases of Aud39.95 and above. 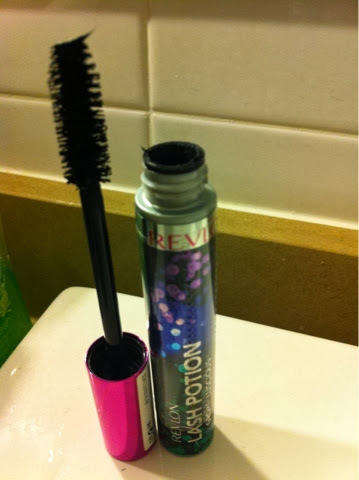 The mascara Lash Potion by Grow Luscious is pretty standard user friendly so far. Not too compelling. 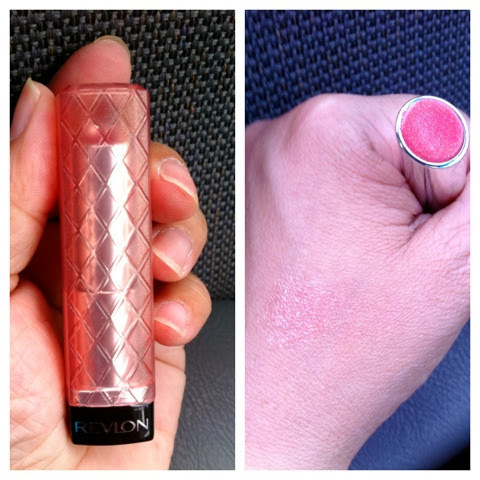 The Revlon Colorburst Lip Butter (025- Peach Parfait) swatch. A light lip tint with pink gloss and gold shimmers. 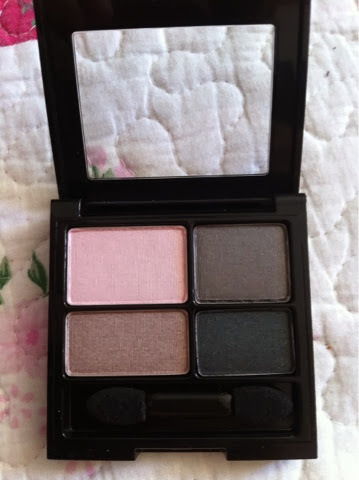 I have already started using the Revlon Colorstay eyeshadow colours (550- Enchanted), but still working out the best way to apply combination of the colours. 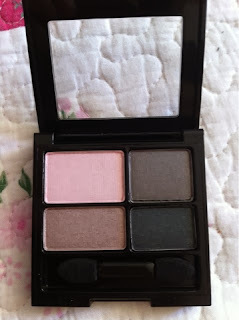 As you can see, there are four graduated shades with the lightest being used as the base, and black to line the base of eyelids and lashes to give the impression of making the eyes look wider and bigger. 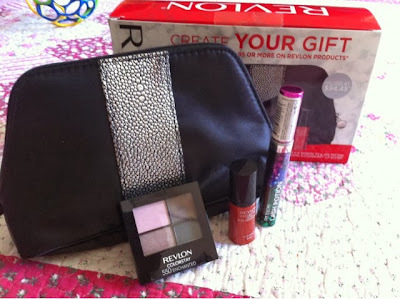 I ended up purchasing this four piece makeup set that cost me about roughly fifty dollars. 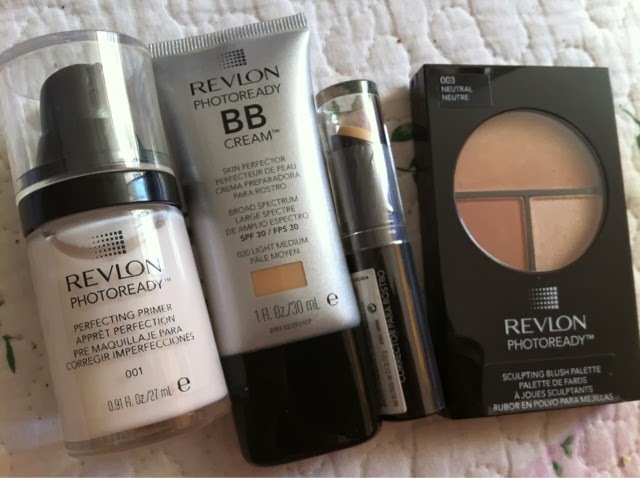 There is the Revlon Photoready Perfecting Primer(001), Revlon Photoready BB Cream (Light Medium), The Revlon stick concealer (Light Pale), and Revlon Photoready Sculpting Brush Palette (003- Neutral). As I use two types of concealer, one which is darker base as I have pretty bad eye bags, the Revlon Photoready (Light Pale) stick concealer shade however too light for my skin tone and is only suitable for me as the second concealer shade after applying the BB cream which works as the basic foundation for me. 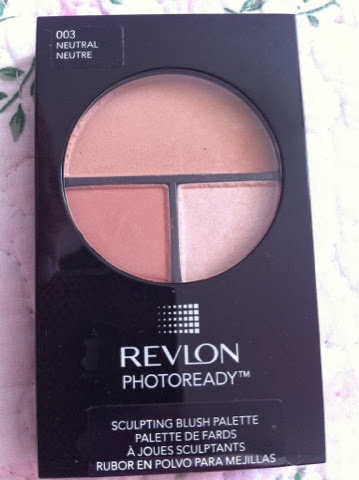 As the name goes, I have used it as a contour powder as well as highligher, as there are three different shades here in the palette. The flesh coloured tone will be used more as a bronzer.